This post is going to be short and sweet. And square. And covered in toasted coconut. Indeed, I’m talking about edible, white, fluffy, sticky squares, better known as marshmallows. But, these are not business-as-usual marshmallows. Hardly. These are one-year-in-the-making, artisanal, handmade, locally sourced vegan marshmallows. I found out about the fine folks at Mallow on my favorite show of all things local: Evening Magazine. This led me to their website, where I found these thrilling words: “If you’re interested in being included in our beta testing for a vegan marshmallow, sign up here.” Brian and Kyra, the owners, are just awesome enough to spend a year perfecting their recipe and include real customers in the process, and I’m just nerdy enough to put my name on the list! 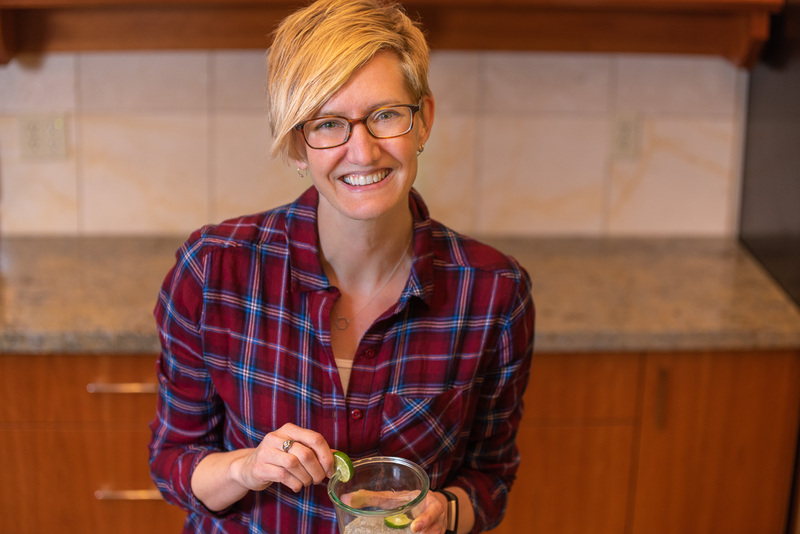 I admit, when I heard “beta testing” I had visions of the private booths at Central Washington University’s food science lab from my college days, complete with perfectly portioned identical samples, pass-through doors separating scientist and taste testers, and sensory evaluation rating forms with 9-point hedonic scales. Turns out they had something a little less clinical and a little more friendly in mind. 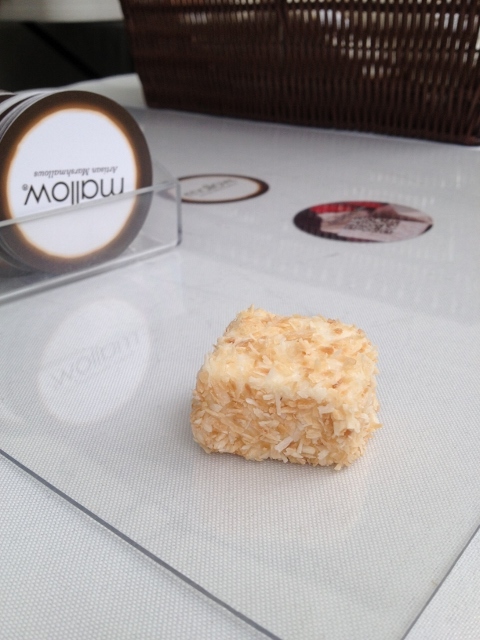 I was positively thrilled when I got an email from Mallow, a few months later, inviting volunteers to stop by the Fremont Sunday Farmer’s Market to sample the Vanilla Bean and Toasted Coconut prototypes. (I’m a devoted fan of Sweet and Sara Vegan Marshmallows, and Brian said this was the ideal they were shooting for.) I thought the flavor was really spot on, and the texture was soft and pleasingly creamy. My 10-year-old niece was with me and she concurred. The Vanilla Bean mallow had some sugar crystals in it, which Brian apologized for, but I actually enjoyed the little bit of crunch. As you probably know, the campfire standard marshmallows we all grew up with are made with gelatin, which is sourced from animals. So, many vegetarians and vegans end up forgoing this childhood favorite. It’s surprisingly hard to recreate the marshmallow taste and texture without gelatin, but Brian and Kyra have really done their homework. Their vegan mallows are a mixture of soy protein, carrageenan, vegetable gums and other top secret animal-free ingredients. 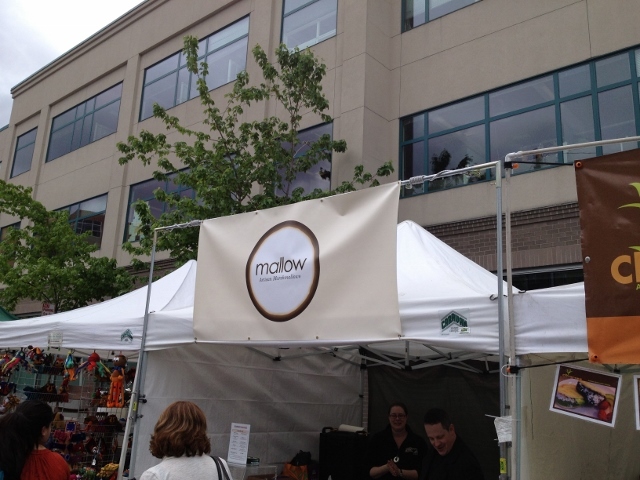 Their goal is to eventually offer twelve of their regular mallow flavors in a vegan version. (Some of their creative menu items include French Toast, Root Beer Float and Orange Creamsicle.) Since my visit to their stand at the market, I’ve seen mention of vegan Achocolypse and Chai flavors on their Facebook page, not to mention an all-in-one s’more marshmallow with bits of chocolate and graham cracker tucked inside called a S’mallow. And, yes, they’ve thought of everything. The vegan mallows are toastable. I guess once I used my 500th word to ramble on about this delightful delicacy, my post stopped being short and sweet. 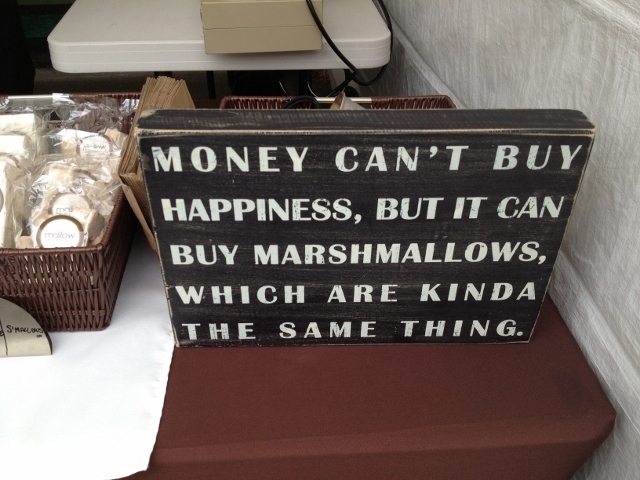 But I can promise you Mallows’ mallows really are. Do you have a fun way to use marshmallows besides just popping them straight in your mouth? I agree. It will be nice to have an alternative when the marshmallow mood strikes. They’ll be available for ordering on the Mallow website August 5.
Pepper Sisters!? we can chat then and square up! sounds too good to be true! Hi Cat! I will absolutely bring you a bag. They were supposed to be available August 1 as a regular item, but that’s been delayed because one of their ingredient suppliers went out of business. 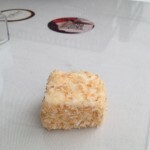 So, whenever they’re ready, vegan toasted coconut mallows will be headed your way.